Location: Caffe Nero, upper room, 44 High St.
INTERNATIONAL RADIO DRAMA FESTIVAL A gathering together of the best of radio drama from around the world, in many languages (that is not a problem - read on!) and an opportunity to meet production crew, writers and other radio drama enthusiasts. The festival will take place this year in Canterbury, in the upper room at Cafe Nero, 44 High St. It will run Monday to Friday 10 am to about 5pm, apart from Wednesday afternoon. Listening sessions are free. 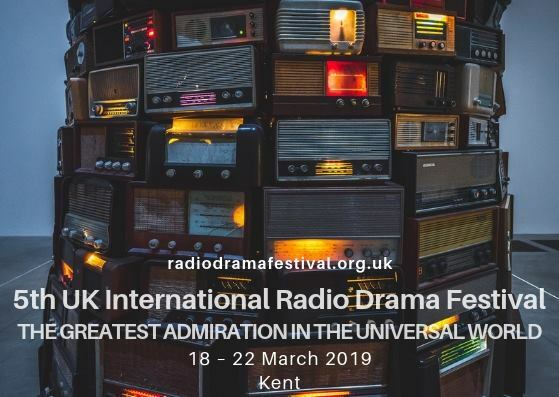 There is an extra event on the Wednesday evening at 6.30 - Kate Chisholm and Gillian Reynold in conversation about radio drama, at Waterstone's. All listening sessions are free to attend – and we welcome anyone to come for a short or long time. No need to book, just turn up. English language scripts are available for all plays. We find that people get the hang of listening in one language and following in English quite quickly – it's very much like subtitles. You are also very welcome to join the discussion – normally in a local pub for about an hour – at the end of the day; this is an opportunity for the jury to reflect on the day’s offerings. If you can attend all the listening sessions, you might like to think about putting yourself forward for the jury too. They make the final decisions on the main awards. We select the jury on the first day.